The power and resources of a strong, multinational network is not just the domain of multinational corporations. 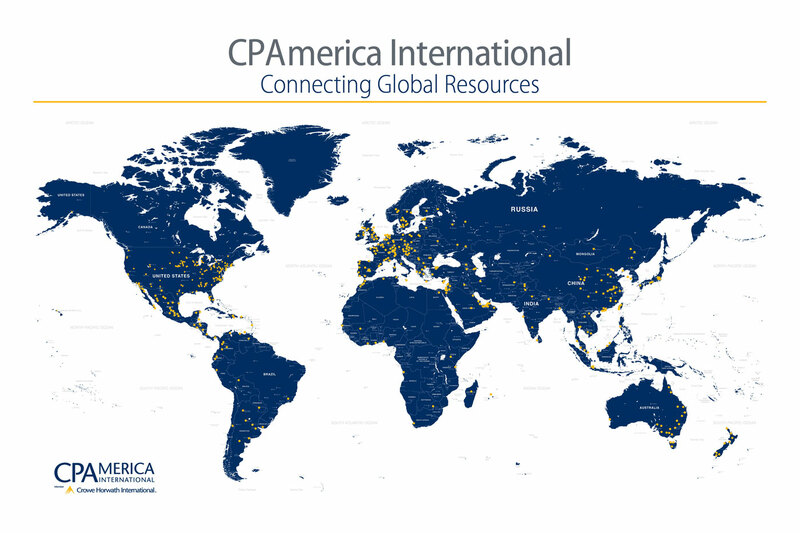 CPAmerica is one of the world’s largest networks of independent CPA firms. Through its affiliation with CPAmerica, HBL is able to offer clients services comparable to anything a national CPA firm can offer. The firms of CPAmerica are ethics-driven, local firms that have a significant presence in their communities. HBL is on a first name basis with its clients and prides itself on providing honest answers and solutions that make sense. HBL’s clients receive the best of both worlds—the regional knowledge and sincere concern of a local firm with the vast resources and experience of a worldwide network. For clients, this means we have the ability to meet all your unique financial management challenges.